Hotels and accommodations in Cabo San Lucas, Los Cabos, Baja California Sur, from quaint Bed and Breakfast Inns, hotels on the beach, elegant resorts on the ocean, private condominiums to luxurious ocean view villas. Breathless Resort and Spa is the all-new, adult escape for sophisticated singles, couples and friends. Our resort is luxe, modernist and chic, featuring pristine beaches, trendsetting restaurants and lounges, a world-class spa and vibrant nightlife and entertainment. The resort features 169 ultra-contemporary, ultra-luxurious suites that come complete with private balconies. Breathless goes beyond the all-inclusive experience many know to offer the Unlimited-Luxury experience. A charming, full-service boutique hotel located in the heart of the bustling Medano Beach district of Cabo San Lucas, steps from the activities, shopping, dining and nightlife for which Cabo is legendary. If you are Cabo veteran, please stop by for quick tour of our beautifully remodeled property. Overlooking the Sea of Cortez and the famous Land’s End Arch, the Bahia is convenient to both the marina and downtown. Bar Esquina on premises. Experience the stunning views of Los Cabos Bay while enjoying a first class designed and fully equipped suites in the Heart of Cabo. 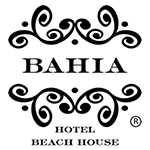 One of the newest Budget Boutique Hotel in Cabo (opened in 2009). Enjoy First-Class king-size accommodations at reasonable prices. Cable TV, Internet, super quiet a/c, and more. 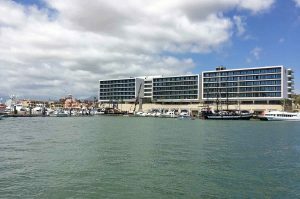 Located just several blocks from the marina, clubs, dining and shopping. Calle Zaragoza between Revolucion y Carranza, CSL. 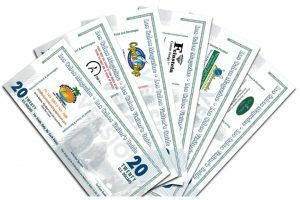 Ph: +52 (624) 143-9300. Traditional Economical Mexican Hotel with 22 rooms centrally located 2 blocks from the Marina. Lonely Planet’s “Our Pick” & Frommer’s Travel Guide #1 Economy hotel in all of Los Cabos. You’ll be pleasantly surprised by the two accommodation options, for those who want to stay on top of work or want to relax in a more sophisticated environment without unnecessary added expenses. This boutique hotel has 20 rooms total a small quite location to getaway and enjoy los cabos. Located 5 minutes above downtown Cabo San Lucas and 10 minutes from medano beach. Cabo Vista Hotel has colonial style architecture, it counts with 23 fully equipped rooms, also offer a continental breakfast and offer free towels and beach umbrellas. Capella Pedregal is grand specifically because it’s small. 42 standard suites, each with a balcony overlooking the mountain or the sea, intermingle with 12 hill-side suites, offering panoramic vista views right to the horizon. Capella Pedregal also has two 2-bedroom suites and an opulent Presidential Suite with 3-bedrooms. Casa Bella Boutique Hotel offers a unique and charming atmosphere hidden within downtown Cabo San Lucas. This hidden treasure offers only eleven rooms, one jr. suite, and two suites, which allows Casa Bella’s personalized service to differentiate itself from the large resorts and hotels. Conveniently located one mile from both the ocean and the nearest golf course, and situated in the small enclave of Cabo San Lucas, Mexico. Our Casa Contenta Bed & Breakfast Inn is the perfect paradisal refuge at the edge of the known world, “Lands’ End”. Discover a wee bit of Ireland where you least expect it. Full kitchens, A/C, TV and ocean view. Accommodations: 9 suites (2–14 persons). Is an exclusive, internationally renowned hotel situated on Medano Beach in Cabo San Lucas, Cabos most popular stretch of sand. Private membership resort situated on Playa el Médano. A/C, spa, fitness center, beauty salon and A/C clubhouse, beachfront restaurant, two swimming pools, swim-up bars, and tennis courts. Accommodations: 1–4 bedroom villas. Is nestled on approximately 1,500 acres of pristine land with 1.5 miles of stunning Pacific coastline, located within the city limits of Cabo San Lucas. The Diamante site is located approximately 6 miles, and a 10 minute drive from downtown Cabo San Lucas. You can find this hotel in the heart of the city, located in a privileged area close to your needs, just two blocks from restaurants, trendy night spots for fun, shopping, walking around the marina or downtown. Strategically located in downtown on the main Ave of Cabo San Lucas. The hotel is within convenient walking distance to Los Cabos principal beaches, golf courses, malls, restaurants and night clubs. 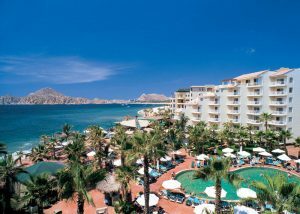 This dazzling all inclusive resort combines the desert, ocean and mountain landscape of Los Cabos. Sandos Finisterra Los Cabos boasts the best possible location between the ocean and the city. This is an exciting new property, an elevated standard of luxury and an undeniable chance to be left speechless. Situated on Solmar Beach on the Pacific Ocean at the base of the rock formations at Land’s End. Los Cabos Hotel and Plaza Los Arcos is excited to make your stay as pleasant and comfortable as possible. Accommodations: 32 guest rooms; singles, doubles, all air conditioned, tv cable. Located on Medano Beach, nestled within the beautifully yellow painted, and stunning beach front Hacienda Beach Club and Residences structure, exists what is considered one of the finest dining establishments in town. Hacienda del Mar is conveniently located six miles from Cabo San Lucas. A wide variety of daytime activities are available such as sports fishing, Horseback riding, sunset cruises, and water sports. Centrally located with restaurant, A/C, pool, TV, jacuzzi & room service. Accommodations: 21 rooms & 1 suite. Open during the winter of 2004. Luxury resort on Medano Beach. Five story hotel with 32,000 square meters of gardens. Amenities: Five restaurants, lobby, salon and pool bars, gym, sauna, Jacuzzi, hair salon, disco, 2 pools, children’s pool, snack bar, solarium, conference room & internet service. Accommodations: 642 rooms. Designed by award-winning architect Jim Olson, the new JW Marriott Los Cabos Golf & Beach Resort reveals the deep blue of the Sea of Cortés at every turn, while its elegant horizontal structures magnify the beauty and colors of the desert. Nestled along the fairways of the Cabo San Lucas Country Club. Double Eagle Restaurant & Bar, bi-level pool with slide, stone Jacuzzi, kitchen facilities, TV, A/C and private balconies. Guests get 25% off golf at the Pro Shop and mini spa! An oasis of tranquility, in the heart of this vibrant seaside town, one block from the Cabo San Lucas marina. 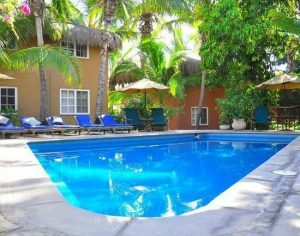 Los Milagros Hotel has a Hacienda-style design with A/C, grill, kitchenettes and outdoor dining area. accommodations: 12 rooms and suites. The combination of its serene atmosphere and quality amenities, as well as its attractive location, make this hotel a choice destination for both leisure and business travelers alike. Colonial-style hotel in the center of Cabo San Lucas. Restaurant, A/C, pool, poolside bar, private baths. Short walk to shops, beaches and the marina. accommodations: 90 rooms, 1–4 beds. Located steps from Cabo’s most swimmable beach and the town of Cabo San Lucas. Waterfront lodging & accommodations in your private vacation rental. Pool, A/C, kitchenettes and balcony. accommodations: 63 rooms. Luxury condominiums custom designed to accommodate groups. Centrally located and within walking distance to everything. Full kitchens, private terraces, spectacular views, heated pool, A/C, beauty salon & day spa, fitness center, restaurant, TV, security, laundry facilities. One block from the beach. Accommodations: 128 units; one-, two-, three- & five-bedroom condos. Situated on one of Los Cabo San Lucas finest swimmable beaches overlooking the Arch at Land’s End, 45 minutes from the airport and walking distance from downtown. Guests enjoy our Mexican rustic style – boutique suites furnished with a queen bed, original hand crafted armoires and writing desks. 10 Junior Suites fully furnished twin or queen size beds including spacious Master Suite for 4, all with A/C, TV, DVD, Wireless Internet. Economical hotel with TV, fans and patio. Located behind the gas station. accommodations: 28 rooms. Located at the exclusive Solmar Beach on the Pacific side of Cabo San Lucas; relaxing, inspiring and quiet beach. Excellent views of the sunset and whale watching during the season. accommodations: 220 (luxury suites, penthouse, master suites and junior suites). New Thalasso Spa now open. Luxury condos on the marina in the center of Cabo San Lucas with views of the Sea of Cortés. Gym, pool, A/C, underground parking, TV, 24-hour security. accommodations: (29) 1–4 bedroom units. Portofino Resort de Cabo is a villa complex nestled in the Pedregals hillside with breathtaking views of Cabo San Lucas, the marina, and the Sea of Cortez. Hotel suites located on Medano beach enjoying the view of Cabo San Lucas bay, 2 pools, A/C, restaurants, bars, kitchenettes and balconies. Full services and amenities. accommodations: 148 junior and luxury suites. Offers guests a luxurious escape on a serene and secluded beach, the first and only luxury resort in Cabo San Lucas dedicated to wellness and relaxation. Located on the pristine Pacific Ocean side of the Baja Peninsula in Cabo San Lucas, Los Cabos, Mexico. Pueblo Bonito Rosé Resort: Superb blend of Mediterranean design and the beauty of ancient Rome. Complete European-style spa, pool, A/C, kitchenettes, and balconies with view of the Cabo San Lucas bay. Walking distance to the beach bars. Full services and amenities. accommodations: 252 suites. Pueblo Bonito at Sunset Beach: Situated on the western side of the tip of Baja, overlooking the Pacific. 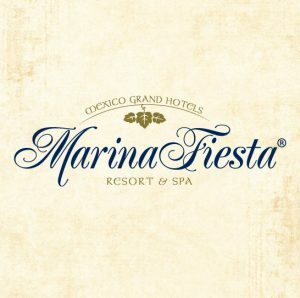 Set away from the concentration of hotels along the Sea of Cortez, the resort’s fifty-acre site and expansive, private beach provide guests with a uniquely tranquil and secluded setting. accommodations: 118 suites: Junior, Executive Suites, Presidential and Penthouse Suites. Best Western Quinta del Sol Hotel is located in the beautiful tourist destination of Cabo San Lucas, Los Cabos, Baja California Sur, Mexico. With its colonial architecture Quinta del Sol Hotel is perfectly located, especially designed for your travel needs, be it pleasure or business. Redefining luxury in Los Cabos – Located on the true Land’s End of the Baja Peninsula with more than three miles of sparkling white beaches, picturesque desert cliffs and panoramic ocean views, the exclusive 1850-acre master-planned resort community of Cabo Pacífica is a paradise of elegance, serenity and service. Private pool; A/C, TV, kitchenette, laundry, maid service. accommodations: 42 studio condos. Live the legend of Hotel Finisterra’s unique arquitecture overlooking the Bay of San Lucas on our Deluxe Rooms or enjoy the largest family rooms facing the Pacific sunsets in any of our Jr Suites. All within a short walk to restaurants, night life, shops, fishing and water sports. Free WiFi in Lobby and Restaurants. Kitchenettes, phone, A/C, TV, restaurant, pool, parking and laundry. accommodations: 46 studios. A newer hotel in Cabo San Lucas with a great location and great rates. Close to Médano Beach, stores and restaurants. Studio rooms and junior suites with phone, A/C and TV. accommodations: 39 rooms; 2 junior suites. Clean, quiet, comfortable hotel, now with a pool and restaurant; two blocks from the Cabo San Lucas marina, restaurants and shopping. TV, BBQ, deck, full kitchens, A/C available in 15 rooms. accommodations: 20 units (15 w / kitchen). This luxurious 7-acre resort is perched on the cliffs of the Cabo San Lucas peninsula, with a view of El Arco. Every villa has a direct ocean front view. A secluded, deluxe oceanfront property located along Playa Solmar where the Pacific Ocean meets the Sea of Cortez. Blessed by the most enchanting and romantic location in Baja California Sur, Solmar Resort offers unexcelled accommodations and amenities for its guests. Located next to the Grand Solmar Land’s End Resort & Spa. The original breakfast inn in Cabo San Lucas 5 blocks from downtown. Lush garden setting, pool, kitchens, A/C and TV. Breakfast for 2 includes freshly ground coffee. Accommodations: 16 units. A perfect place for small weddings, romantic get aways, great for bachelor or bachelorette parties. Accomodations: 10 custom suites, W/A/C, bath private balconies and terraces with hand-crafted furniture, in Cabo San Lucas, Los Cabos. All of Los Cabos is talking about the newest resort to hit the shores of Cabo San Lucas. The Cape, a Thompson Hotel, opened in July 2015 and is located at km 5 on the Tourist Corridor at Monuments Beach. Once inside the impressive entrance gates, it is luxury personified, from the expansive lobby to the top of the roof on the sixth floor. This time, Villa Group offers a unique product called Villa del Arco a fun up-scale five star resort with indulgent luxurious accommodations, spacious suites, several restaurants, and pools to satisfy every interest. An upscale complex of full and fractional ownership villas on Medano Beach. 158 guest suites and villas.